It's time to start thinking about YOU! Whether your health and wellness goals include weight loss, stress reduction or improved digestion - the fall is always one of the best times to implement health changes and feel your best. This edition of the Dr. Joey newsletter is special to me as I am thrilled to launch Dr. Joey's ALL GOOD bars. To read the top 10 reasons you should enjoy my ALL GOOD bars click here! Additionally, if you are looking for a quick cleanse to look and feel your very best - you will find my updated 5 day cleanse (yes... only 5 days for results!) in my new edition of The Natural Makeover Diet. Details below. A bit of belly fat giving you the blahs? If so, visit my Cityline blog to learn how you can shed a few pounds quickly! My new line of natural bars are here! With 10 grams of vegan protein, 7 grams of fiber, certified peanut free, gluten free, non GMO and sweetened with low GI coconut sugar - these bars are truly where healthy meets delicious! The two flavor options are dark chocolate and flax and dark chocolate and coconut. 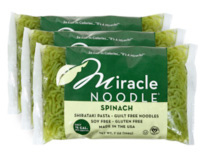 These soy free, gluten free spinach noodles are the perfect option for a grain free dinner dish. The spinach noodles are easy to use as they absorb the flavor of any sauce you cook with. With only 15 calories per serving (3oz), it is hard to over do it. Stock some in your cupboard for an easy to prepare, last minute dinner option. 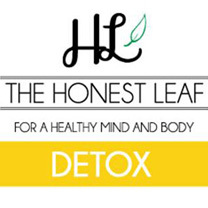 The Honest Leaf is a line of loose leaf wellness teas created by Nutritionist, Shelby Kroach. Each blend helps to support various systems in the body. Made with all natural and organic ingredients, you'll be sipping your way towards a healthier you. This easy to use hand spiral cutter is a simple way to make your own vegetable noodles (see zucchini noodle recipe below!). 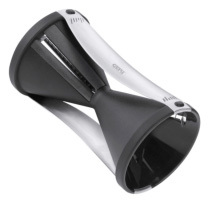 The high quality stainless steel blade makes endless julienne stripes out of vegetables such as zucchinis, carrots, and cucumbers, for easy to prepare, grain free noodles that can be used in salads, soups, and stir fry's. This compact, easy to store gadget has a durable body and is dishwasher safe. 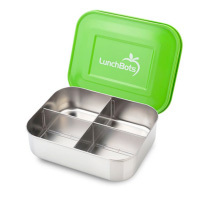 Make lunch prep easy this school year with Lunch Bots bento lunch boxes that come in a variety of colors (green, red, blue, orange). The stainless steel base offers built in dividers that can hold up to 4 different food items (can be purchased in 1,2,3, or 4 sections) an easy way for your kids to take healthy meals on the go. Adult sized lunch boxes are also available, which are 60% larger than the classic containers and offer 5 compartments. In a skillet on the stove, add oil on medium-high heat. Once heated, add your prepared zucchini noodles. Add salt and lemon into the noodles. Toss and cook for 3-4 minutes. Half way through, add freshly chopped basil, cherry tomatoes and spinach leaves. Cook until noodles are soft. Serve immediately with your favorite pasta sauce, sprinkle with optional Parmesan cheese and some extra fresh basil. 1 peach (be sure to take advantage of the delicious Ontario peaches available this month! Pour the tomato mixture plus remaining veggie broth in a large soup pot. Bring to a boil. Add in the kale, peas, carrots, bay leave, and spices spices, and reduce heat to simmer. When the veggies appear cooked through, add in all remaining ingredients. Season to taste adding more spice if desired. Simmer on low for about 10 minutes until ready to serve. Serve with fresh parsley on top. Remove bay leaves before serving. This low calorie, water dense vegetable is so versatile and delicious, you will definitely want to make it a staple this fall. 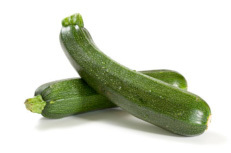 Zucchini's contains 20 calories per cup, 2g of fiber, and are made up of a whopping 95% water. Zucchini is an excellent source of vitamin A and C, offering immune boosting and anti-aging properties. You can eat this veggie raw or cooked, in a stir-fry or in a salad or, you can cut them into rounds or sticks for an easy, low cal snack. 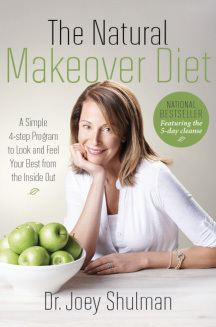 The Natural Makeover Diet updated edition is out! We all want to look our best, feel attractive and be healthy. Energy and appearance are important at any age. And now achieving these results is possible without unsafe quick-fix diets, risky surgical procedures or other invasive measures. Whether you want to increase your energy levels; improve your skin, hair or nails; or lose weight, your true beauty will shine through when you achieve optimal wellness from the inside out. By following Dr. Joey's four steps to inner health and outer beauty program and her 5 day cleanse, you will quickly see and feel long-lasting results. Enjoy a flat tummy, permanent weight loss, shiny hair and a radiant complexion courtesy of this safe, natural and easy-to-follow program. The Natural Makeover Diet introduces readers to the Pick 3 System-a unique and healthy way of eating that keeps weight down and energy up whether you are eating at home, on the go or dining out. Get the real scoop on healthier fats, learn how to eat fish safely and identify real anti-wrinkle foods and supplements-your most pressing beauty and health questions are answered in The Natural Makeover Diet. Innovative, medically safe and achievable, this plan is the answer that thousands of us have been waiting for. Start looking and feeling great today. We are seeing phenomenal weight loss results at the Shulman Weight Loss clinics. Our clients are feeling like their best self and are keeping their weight off for life. Join Shulman Weight Loss clinic for a personalized hormonally balanced weight loss program that works! And... keep your eyes on future newsletters for some upcoming promotions and savings.